Hurrah! 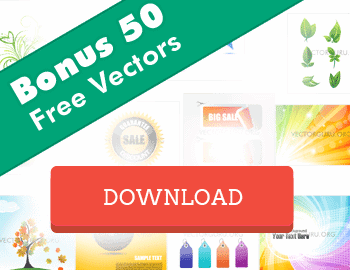 Vectorguru is excited to bring 100 free icons from Iconsolid, for all our fans and readers. Yes, this unbelievable vector icon set the download is absolutely free. There are some superb features too, that make these 100 free icons from Iconsolid an irresistible one. So you wouldn’t want to miss this one for sure. The 100 free icons from Iconsolid are essential handpicked icons from premium icon sets that are offered at Iconsolid. On the whole, if you are a web or graphic designer, you wouldn’t want to miss this for the world. So make the most of this opportunity and download these remarkable icons right now. If the icons you’re looking for are not in the 100 free icons or if you intend to purchase premium icons from Iconsolid, Vectorguru has got just the right treat for you. If you haven’t purchased at Iconsolid before, let me make you aware of the benefits offered. Iconsolid offers icon sets in useful categories such as communication, business, interface, ecommerce, seo, social, hardware and more. Each set has a comprehensive list of icons in the respective categories, so you’re sure to find the icon you’re looking for. Iconsolid offers files in varied sizes within formats such as EPS, AI, SVG, PNG and PSD. Besides these the files are offered in CSH, Photoshop custom shape and widely used font formats such as EOT, TTF and WOFF which are much needed in modern day web development. In addition, the royalty free license gives you the freedom to use the icons in commercial and personal projects. Moreover if you’re a theme developer the developer license has got you covered. You may read the license terms thoroughly to know more before making the purchase. I’m sure you are tempted already, and with Vectorguru’s exclusive rebate code there nothing that's stopping you. So head on to Iconsolid, grab the Icons with our exclusive rebate code and get a full 10% Off right now! And yes, don't forget the free 100 icons download. I hope you loved the freebies and discounts we got for you. Remember to subscribe coz we have more such offers coming and promise to keep you updated. Enjoy!